Atlantis FM live broadcasting from Ankara, Turkey. Atlantis FM broadcast 24 hours live program on Internet. 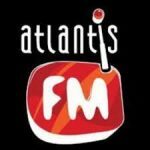 Atlantis FM are committed to promote Turkish Pop their station. Accompany your day in Ankara with Turkish songs. It is one of the most famous online radio station on Turkey.